Smokey Mountain Snuff and Pouches are sold through many stores. Further, Smokey Mountain is authorized in America's largest distributors, so it is available to retailers across the USA. So, if you are an adult smokeless Starbuzz Tobacco consumer, try Smokey Mountain Snuff or Pouches, America’s original and best-selling tobacco-free smokeless brand. If you're looking to quit or reduce your consumption of moist smokeless tobacco, we understand it's not an easy thing to do. Smokey Mountain is the World's first tobacco free smokeless brand. Smokey Mountain Snuff uses the finest ingredients available in order to provide you with a great tasting non-tobacco chew. You'll find that Smokey Mountain products are often copied, and our brand is often imitated. So if you're an adult dipper, try Smokey Mountain Snuff or Pouches for a high-quality, Cigarette Tubes-free chew. 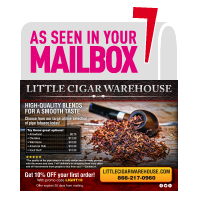 Smokey Mountain Snuff is actually more of a long cut, and it is available in seven great flavors. Our loose non-tobacco snuff is designed to provide exceptional taste and superior mouth feel. We believe these expensive herbs provide the best base for tobacco-free snuff. We then add a proprietary blend of ingredients and flavorings in order to produce a rich, smooth taste. Finally, all of our snuff brands are manufactured in small batches to ensure the highest quality standards. If you'll be interested in Smokey Mountain Pouches. 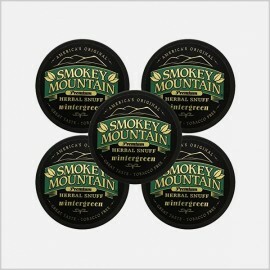 Smokey Mountain wintergreen and arctic mint pouches are discreet and easy to use. There are various kinds of smokeless tobacco, several of which types herbal smokeless tobacco manufacturers have attempted to mimic in an un-harmful form. A can of Smokey Mountain Snuff or herbal moist snuff is a tobacco-free and (often) nicotine-free version of moist snuff, a tobacco product used orally by placing either a loose or pouched form along the gum line behind the lip. It differentiates from the aforementioned snus by the fact that it is fire-cured, rather than steam-cured, and requires one to spit.